The Winter season is one of my favorite times of the year. Besides Christmas I love all of the fashion and trends that arise. I love how you can wear so many types of fabrics or layers and it all looks effortless. Sometimes we over think what we can wear or we just are overwhelmed with all of the styles being worn. 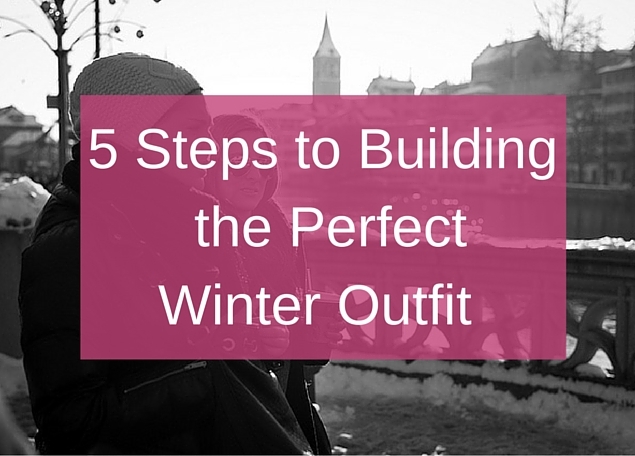 With using the 7 Step Guide to Building the Perfect Winter Outfit you will figure out what exactly you need in your perfect outfit. Use this guide for work, school or date night. You are guaranteed to look beautiful and ready to conquer the season in style! The first thing you want to make sure you have is a Top. This can include crop tops (long sleeve), t-shirts, sweaters, and blouses. The second thing you will need is a type of Bottom. I am loving the wide leg trousers that have a 70's vibe and of course some type of fitted jean or dress pants. If you are real comfy but girly I recommend wearing a pair of boyfriend or girlfriend jeans with a cute top, jacket, and heels. Now we get to discuss one of my favorite items this Winter the Jacket. I have a big obsession with jackets this season. I love them sleeveless, with sleeves, printed, solid colors, cropped, over sized and etc. You name it, I love it! (I totally typed that fast and with excitement) A jacket can bring your look to total different level. I love to throw on a bright or sleeveless jacket with a leather jacket underneath to add layers and definition to the look. Okay, so in my current wardrobe my favorites are jackets second and Shoes first! I honestly believe that shoes are a girls best friend. They make you look tall on short days (every short girls dream come true); they don't get jealous if you don't wear them for a month; and did I mention how pretty they look? If you have ever heard about Mariah Carey I am sure you know about her huge closet in NYC filled with shoes. I dream one day I have half the shoe collection she does. If you do wear a lot of solid colors this season adding a Scarf with a pop of print such as leopard, flowers, or plaid can make your look complete. I have been reaching for my chunky scarves that have bold colors or prints when I wear my over sized coats. It makes you feel like you are wrapped in a blanket and that is the best feeling when it is cold outside. What kind of scarfs do you enjoy wearing? Are you still in love with your summer or fall items? If so follow my #1 rule for transitioning your clothes into different seasons.